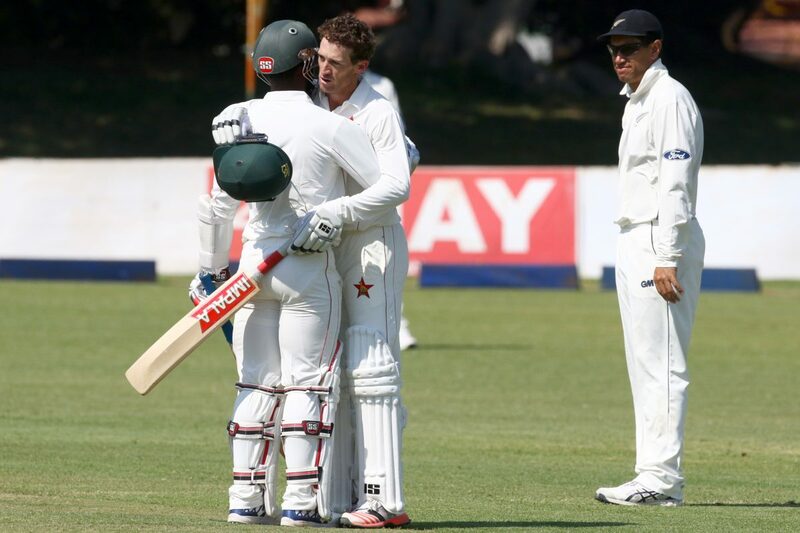 New Zealand wrapped up an innings-and117-run victory over Zimbabwe in the first Test between the two sides in Bulawayo on Sunday (July 31) despite a maiden Test century from Sean Williams finally giving Zimbabwe something to smile about. 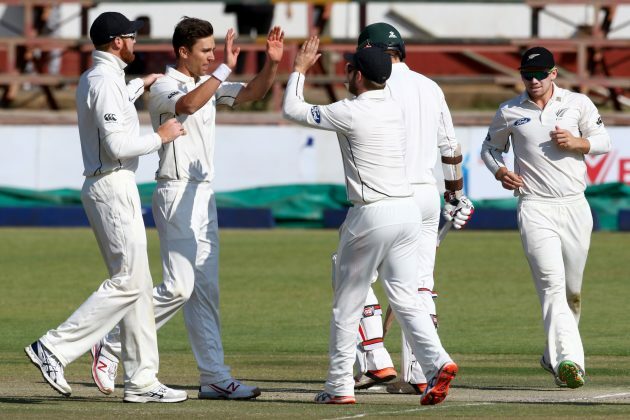 New Zealand bowled Zimbabwe out for 295 in its second innings in the second session on the fourth day to finish the game, with Neil Wagner finishing with eight wickets in the match at Queens Sports Club. New Zealand first bowled Zimbabwe out for 164 before declaring on 576 for 6 after centuries from Tom Latham, Ross Taylor and BJ Watling. The visiting side then had Zimbabwe down at 124 for 6 before Williams’s fightback helped the host put up a decent effort. After three days of being dominated by the visitor, Zimbabwe finally resisted through Williams, who rose from his sick bed to hit the fastest Test century by a Zimbabwean as he reached the mark in just 106 deliveries. Williams had spent the past two days off the field due to illness as New Zealand racked up a first-innings lead of 412, and came to the crease early on the fourth morning. He then added 118 for the seventh wicket with Graeme Cremer, the captain, who made 33, and went on to make 119 in 148 balls with 21 boundaries before succumbing to Mitchell Santner’s left-arm spin. Trent Boult picked up 4 for 52 in the second Zimbabwe innings, while Wagner had 2 for 62 to go with his 6 for 41 from the first outing. The second and final Test gets underway at the same venue on Saturday. Posted on August 1, 2016, in Uncategorized. Bookmark the permalink. Leave a comment. Welcome to Ms Dhoni – The Finisher. This site has re-opened. We will post every latest happening in Cricket. We hope you enjoy our service. You can join us on Faceook by pressing the like button on the side bar and you can follow us on Twitter by clicking the follow button on the side bar.